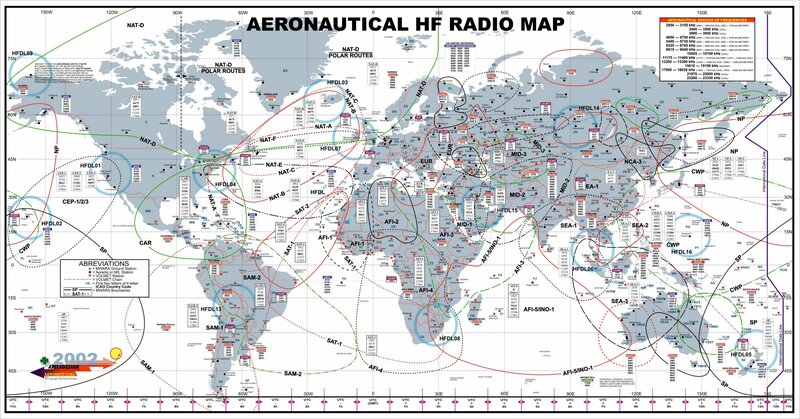 If its frequencies and waypoints for the North Atlantic your looking for this chart should help.. Here are some links that should help..
Wow thanks jj you must listen to hf airband then I've so much to learn can I email you. Sorry to say I seldom listen to HF these days, too much man made noise. Bombay is called Mumbai and Madras is called Chennai, names were change in 1995/96. If you want to contact me privately I would prefer if you could PM me via the forum. How come I can still order a Chicken Madras and buy Bombay Mix at the local supermarket? Even more so as In India many still say bombay. In Myanmar many local people still say Burma, and they still call their language Burmese.